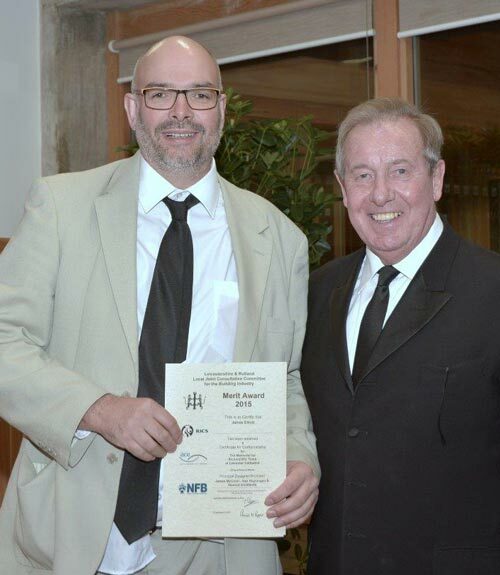 James Elliott has received a Merit Award for Craftsmanship from the Leicestershire and Rutland Local Joint Consultative Committee for the Building Industry, an accolade commending his work on the Richard III Tomb at Leicester Cathedral. The award, was established to celebrate and encourage quality in craftsmanship, and acknowledges the dedication and hard work James has put in to creating a fitting resting place for this medieval monarch. The tomb is made from a 6-tonne block of Swaledale limestone, and sits atop a plinth of darker Kilkenny limestone. It remains a memorial to Richard III, whose body was discovered in 2012 underneath a carpark in Leicester. James Elliott is a skilled expert in specialist manufacturing of pieces in marble and stone. His reputation as an accomplished stone mason often proceeds him and he is known to have an extensive knowledge in this field as a result of 30 years in the industry. James Elliott was also tasked with producing the alabaster altar alongside this project, which required great expertise to source and quarry the stone. James McCosh, architect and partner of van Heyningen & Haward Architects, was responsible for designing the tomb. An individual who has a self-professed interest in historic and listed buildings, he was also charged with the re-ordering of Leicester Cathedral and its precinct. Leicester Cathedral organised a week long programme of events devoted to the reinternment of Richard III’s remains. The Cathedral has seen thousands of people visit the tomb since the King’s reburial in March. A video of the making of Richard III’s tomb can be seen here.